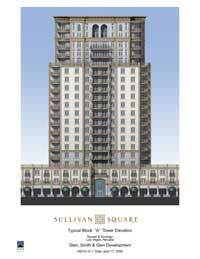 Sullivan Square Las Vegas real estate is beginning site prep at the West Village site. UPA Group, Sullivan Square’s general contractor, began blasting and drilling for Las Vegas high rise condo underground parking and underground utilities this week. Underground work is scheduled through mid-June. Madison Tower 1 Las Vegas has had more than 50 percent of the luxury condos sold in Sullivan Square real estate development. A significant milestone has been reach with the site preparation at the Las Vegas mixed-use real estate is Southwest Las Vegas, Nevada. Las Vegas McCarran International Airport had more than 3.4 million passengers than a 2.7 percent increase from the same period in 2006. The pace of travelers through Las Vegas real estate was a 4.3 increase 2006 for more than 7.1 million excited passengers. Southwest Airlines had a slight increase of less than 1 percent from the same time in 2006. 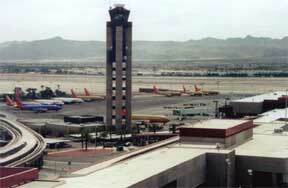 Southwest, the largest carrier, had more than 1.1 million Las Vegas visitors through McCarran. 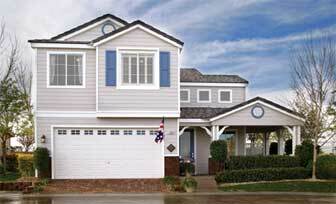 Lamplight Cottages Las Vegas homes by Lennar has the charm of a small town community. Lamplight Cottages homes for sale in Las Vegas, Nevada has Everything’s Included and energy homes. The Lennar homes neighborhood offers picnic area, playground, clubhouse, park, and a community pool and spa. The neighborhood clubhouse is at the central hub of the Lamplight neighborhood. You’ll enjoy the picnic tables, park benches and the inviting whitewashed gazebo. Sit, relax and enjoy your friends. Kingwood Crossing at The Vistas Village in Summerlin real estate by William Lyon Homes has a $60,000 builder’s incentive for Summerlin home buyers. The builder’s incentive program are for immediate move-ins on select Summerlin homes for sale, certain restrictions apply. The incentive can be used towards closing costs, buy down the home mortgage interest rates or deducted from the home price. The incentive can be deducted from the home price, applied toward closing costs or used to buy down mortgage interest rates.